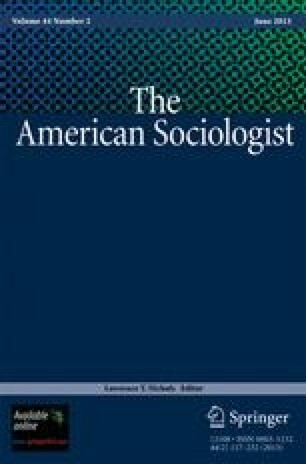 Burawoy (2005) argues that sociology needs to re-establish a public sociology oriented toward society’s problems and the practice of its unique knowledge if it is to again be taken seriously by the public, policymakers, and others. Yet, it is unclear how best to achieve these goals. We argue that the relatively young field of social gerontology provides a useful model of successful public sociology in action. As a multidisciplinary field engaged in basic and applied research and practice, social gerontology’s major aim is to improve the lives of older people and to ameliorate problems associated with age and aging. Thus social gerontology has routinely reached beyond the academy to engage with its publics. We review the field’s historical and theoretical development and present four examples of public sociology in action. Several factors have contributed to social gerontology's success in achieving the goals of public sociology: (1) Working in multidisciplinary teams which promote collaboration and respect for diverse perspectives. (2) Its ability to advocate “professionally” for its publics without favoring one group at the expense of another. (3) The unique affinity of its theories and practices with its disciplinary values. (4) The constructive effects of its ongoing questioning of values and ethics. Working in a multidisciplinary field with multiple publics, social gerontologists have been able to blend professional, critical, policy, and public sociologies to a considerable degree while contributing toward improvements in well-being.